John A. Bonello counsels businesses on a range of matters including intellectual property protection, information technology law, software licensing, technology transfers, privacy and security issues, business disputes, contract issues, and complex commercial transactions. Mr. Bonello also represents clients before federal district courts throughout the country and the Court of Federal Claims, as well as courts of appeal and numerous state courts. During his many years of practicing law, Mr. Bonello has been involved in multiple trials, hearings, and oral arguments. 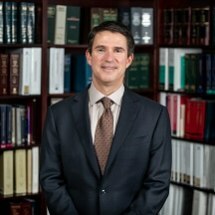 Mr. Bonello has litigated matters involving myriad issues including trade secret misappropriation, non-compete and non-solicitation issues, copyright and trademark infringement, breach of contract, fraud, and prime contractor/subcontractor disputes. Mr. Bonello is a panel member for the American Arbitration Association and the International Center for Dispute Resolution, where he has been selected to serve as an arbitrator in over 60 arbitrations. Mr. Bonello has arbitrated a number of diverse issues including a dispute between software developer and software reseller/distributor; contract and fraud claims arising from value added reseller arrangement between an Alaskan Native Corporation and software developer; breach of product agreement dispute between beverage manufacturer and beverage bottler; and a dispute over an Oracle ecommerce platform integration. Mr. Bonello previously served as a member of the Information Technology Association of America's Application Service Provider Committee where he spearheaded the preparation of the ITAA's "ASP Service Level Agreement Guidelines" and co-chaired a committee that prepared the ITAA's "ASP Service Level Agreement Guidelines for the Health Care Sector." Mr. Bonello has been a frequent speaker on information technology law issues. Mr. Bonello served on the Virginia Joint Commission on Technology and Science, Advisory Committee on Privacy. Mr. Bonello received his B.A. degree in 1988 from the University of Notre Dame and his J.D. degree in 1991 from the Columbus School of Law, Catholic University of America, where he served on the editorial staff of the Catholic University of America Law Review. (obtaining dismissal of unjust enrichment claim and clarification that board of directors may have sole and absolute discretion to determine whether employee can be terminated for cause).